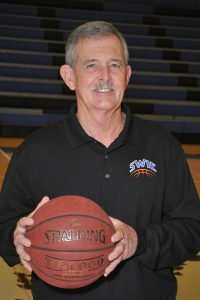 Jay Harrington has been head coach of the Blue Storm men’s basketball team since 1979. 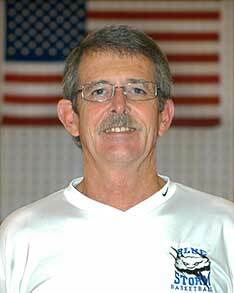 His SWIC record through the 2015-16 season is 764-439, and his overall coaching record is 841-481. In 2015-16, the Blue Storm were defeated in the championship game of the Region 24/District 16 tournament, compiling a record of 27-6. 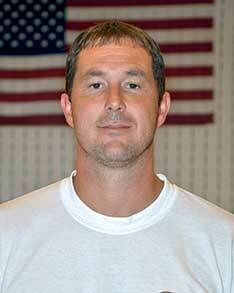 Coach Harrington has taken several teams to the National Junior College Athletic Association Division I National Championship, including one team that placed fourth and one that placed sixth. Blue Storm squads are consistently ranked in national polls and perform well in the postseason. Coach Harrington has served as the college’s athletic director since 1980. He was the chairman of the NJCAA Division I Basketball Committee for 12 years and was president of the NJCAA Basketball Coaches Association for eight years. He and his wife, Patti Woods Harrington, have two daughters, Megan and Morgan.